We walked back from Lake Valbergstjørni to the cable car station. My wet boxer shorts were tied to the outside of my backpack and dried shamelessly in the hot sun as they swung to and fro to my gait. Next to the cable car station was an area of grassland which sloped down the hillside in the direction of Voss. 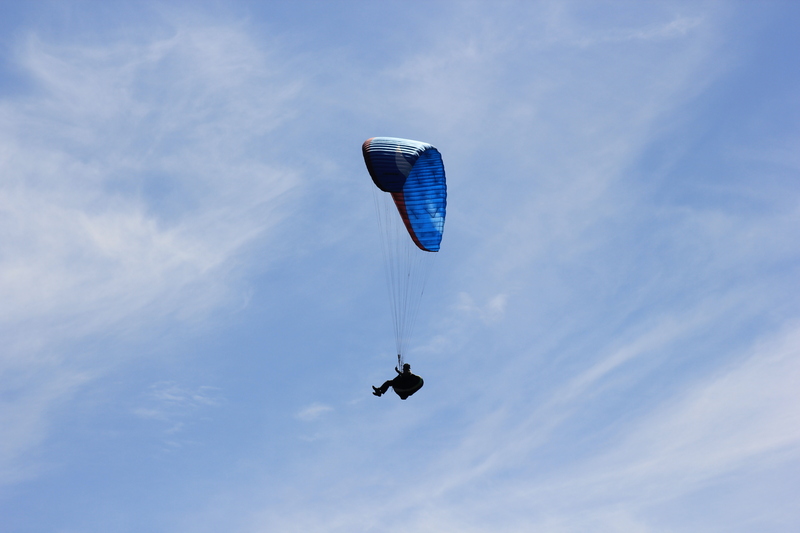 We soon saw that the area was regularly used by paragliders. How great to hitch a lift up Hanguren in the cable car, get to the top, and then glide down again! 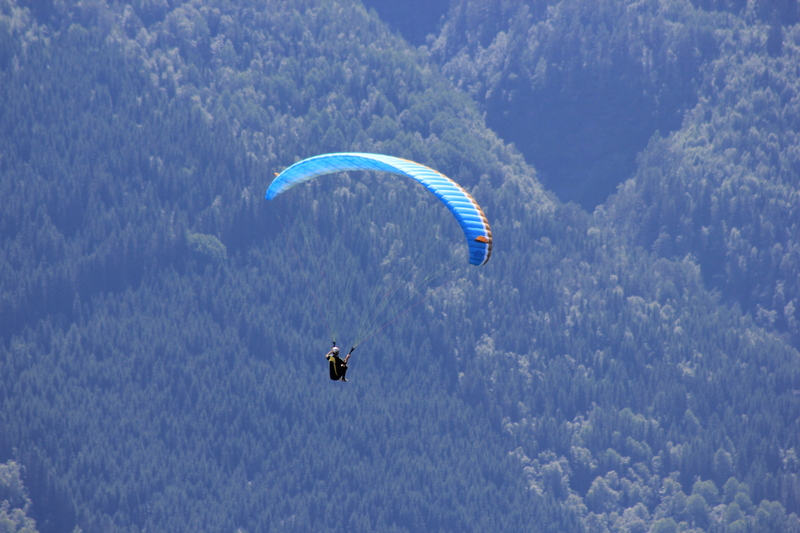 We watched a few paragliders launch themselves off the hillside. They would spread out their canopies, wait for the right gust of wind and then start their run. The canopy would catch the wind; the leading edge would inflate and the forward motion of the pilot would force it to climb into the air. A short distance later and the pilot would be lifted from the ground. Where would I go if that were me? 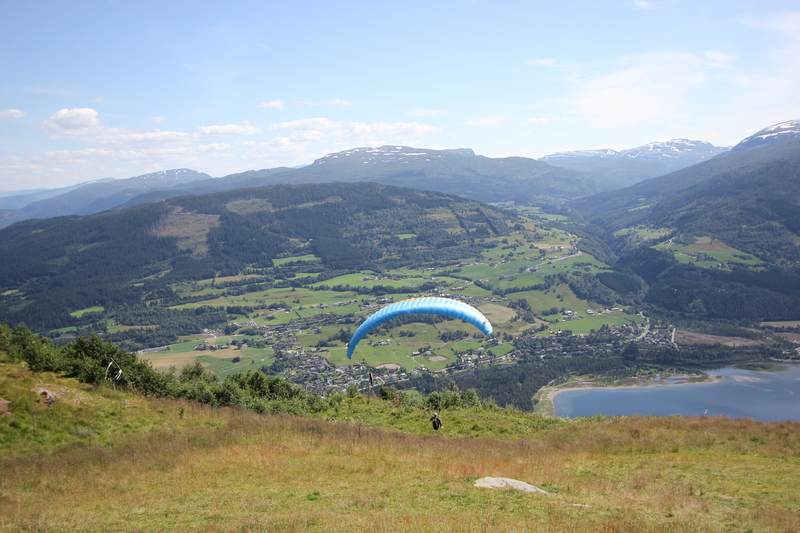 Perhaps I would just glide over the cool waters of Lake Vangsvatnet. Or maybe I would head over to the far side of the lake and the fir-covered slopes on the opposite bank. No. I’d catch the thermals, I think, and soar up, up and away, drinking in the landscapes below me. 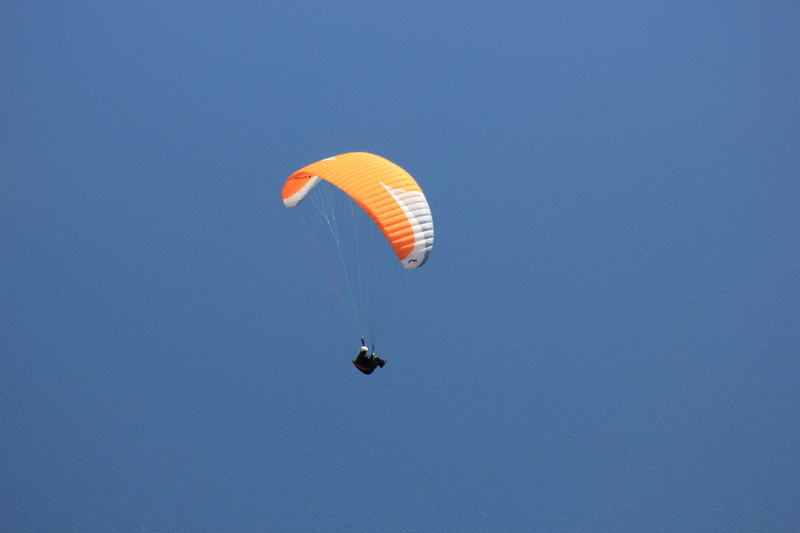 It was only the next day that I discovered I could have booked a tandem flight down. I could have glided down the mountain! What an opportunity to miss! As it was, we took the cable car back down. I watched the paragliders with a certain amount of wistful envy. 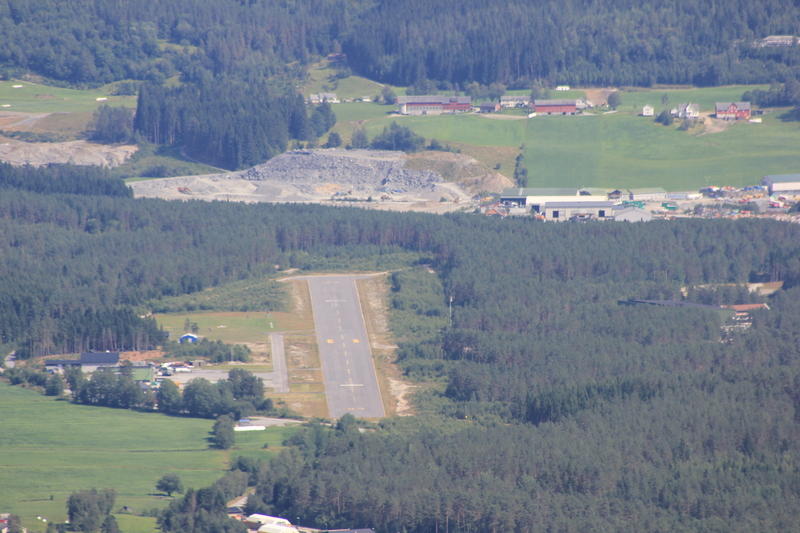 On the way down, from the vantage point offered by the suspended cable car, I spotted the runway used by Skydive Voss. I looked at that with a certain amount of wistful envy, too! 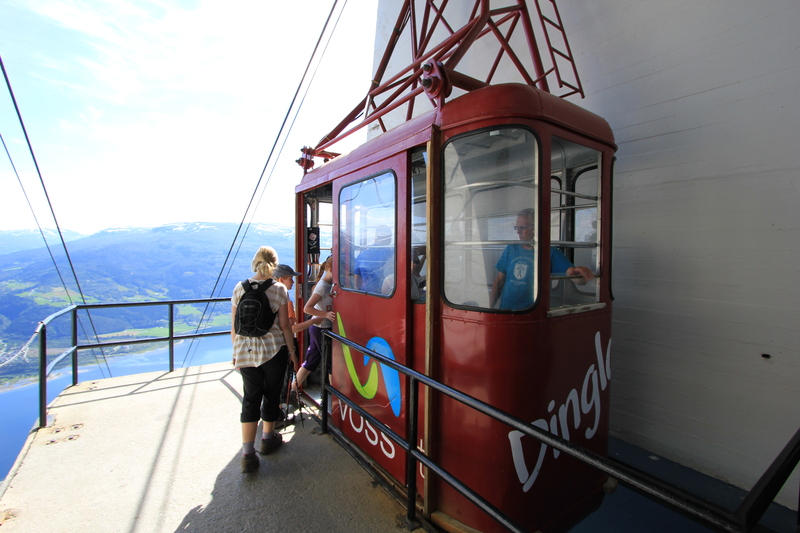 This entry was posted in Norway and tagged cable car, envy, Norway, paragliding, travel, Voss. Bookmark the permalink. It is right on the line RH – our hotel room was all of 20 feet away. 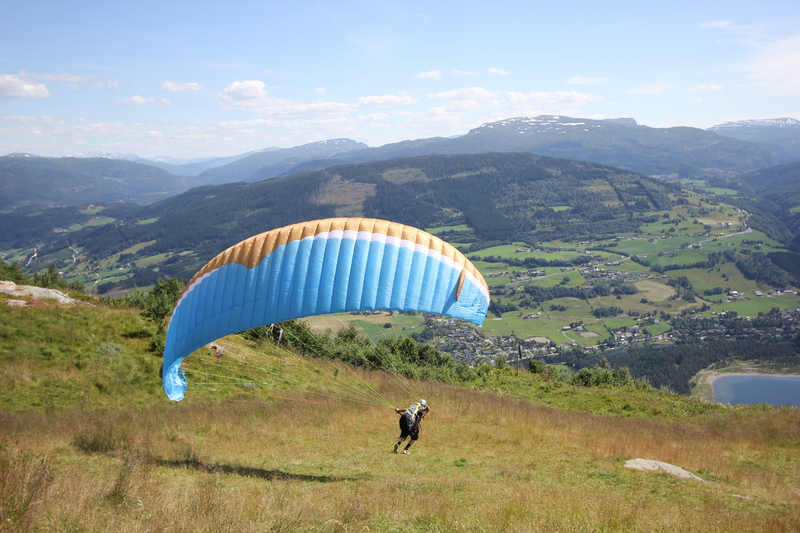 Voss today is truly beautiful – one of those hidden gems in the world – how was it a few devades ago?